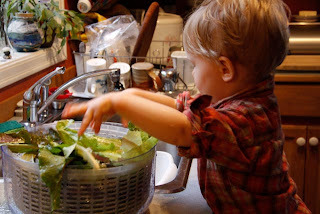 M.'s mother just sent us a video of M. helping to prepare dinner by washing the salad greens. Take a look here . I love this photo - says so much in very few words! 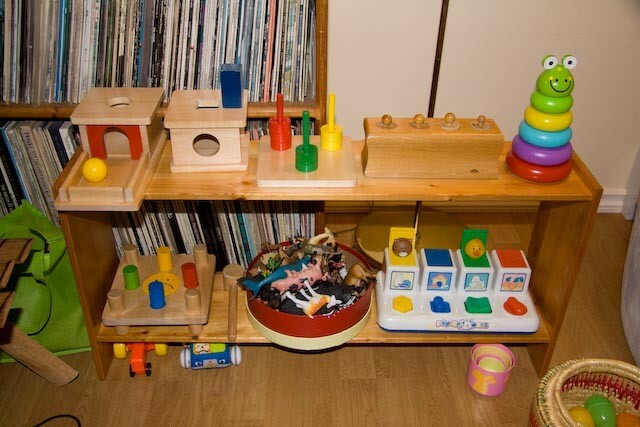 I featured this photo at http://livingmontessorinow.com/2011/10/13/how-start-using-montessori-at-home/ and in the linked post.